DescriptionDress up your glassware with these elegant markers from our Eternal Rose collection. Circular cards feature a turquoise and gold surround, dotted with two rose motifs and at the centre of each marker is space for adding your guests’ names. Each pack contains 10 Glass Markers. Dress up your glassware with these elegant markers from our Eternal Rose collection. 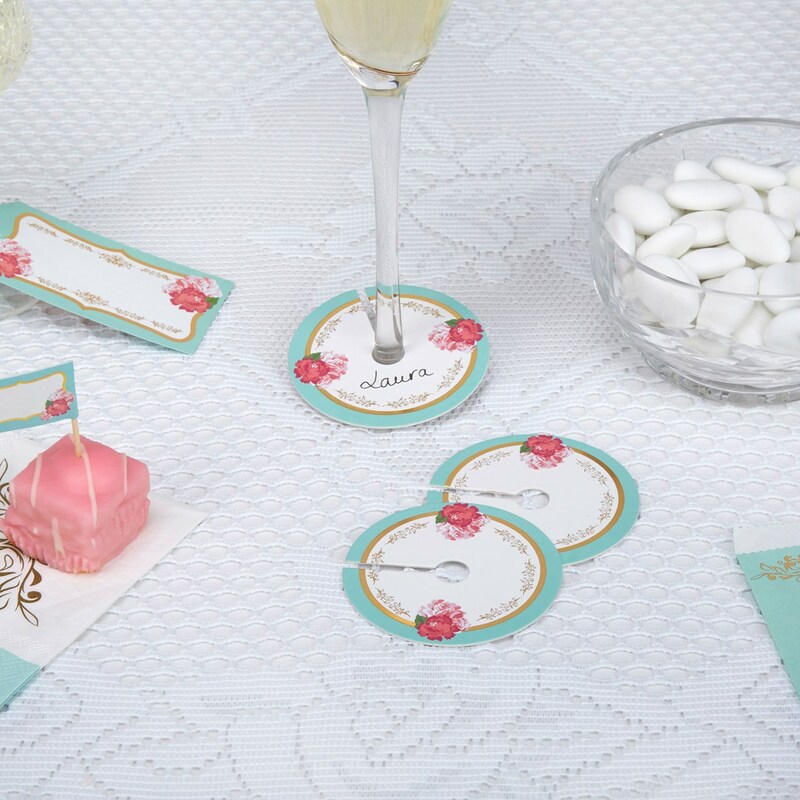 Circular cards feature a turquoise and gold surround, dotted with two rose motifs and at the centre of each marker is space for adding your guests’ names. Each pack contains 10 Glass Markers.